PM Modi inaugurated the 105th Indian Science Congress at Manipur University in Imphal, Manipur. 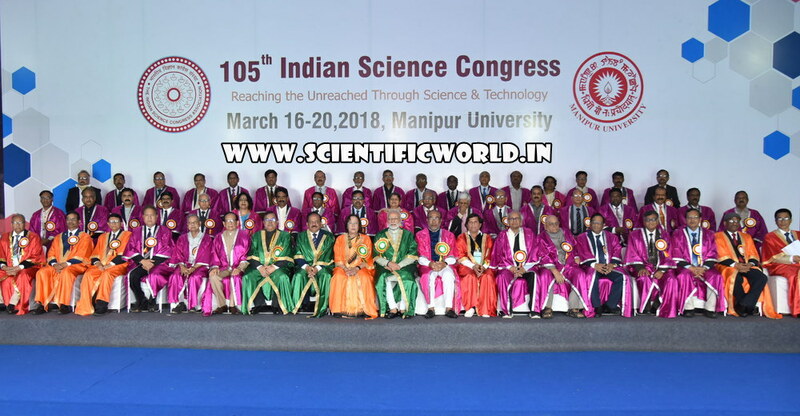 The Indian science congress held during 16 to 20 March hosted Nobel laureates and many Indian scientists and students from across the country, who discussed the developments in the field of science and technology and its future perspectives in India. The theme of the Indian science congress this year was ‘Reaching the unreached through Science and Technology’. In his inaugural speech, PM Modi said that the time is ripe to redefine ‘R&D’ as ‘Research’ for the ‘Development’ of the nation – that is ‘R&D’ in the real sense. Science is after all, but a means to a far greater end – of making a difference in the lives of others, of furthering human progress and welfare. The time is also ripe, to commit ourselves to facilitate 'Ease of Living' for 125 crore Indians, through the power as well as the potential of science and technology. He talked about challenges before science and technology in India and how science can contribute to Social Development. We are making concerted efforts to achieve complete elimination of TB from India. A few days ago, at the ‘End TB Summit’ in New Delhi, we demonstrated our commitment to eliminate TB from India by 2025, five years ahead of the WHO target of 2030. Our space research program has the capacity to successfully place over one hundred satellites in space in one go. This has been made possible through the hard work and dedication of Indian Scientists. PM Modi highlighted in his speech that the session’s theme also raises some questions. Have we done enough to ensure that children in India are sufficiently exposed to science? Are we giving them a conducive environment to develop their inherent talent? Our scientific achievements need to be actively communicated to the society. This will help inculcate scientific temper among the youth. It will also excite and attract our young minds to careers in science. We have to throw open our national institutions and laboratories to our children. I call upon scientists to develop an appropriate mechanism for interaction with school-going children. I also urge them, to spend 100 hours every year, with 100 students of Classes 10,11 and 12 discussing various aspects of science and technology. 100 hours and 100 students, imagine how many scientists we can nurture this way! Under “Prime Minister’s Research Fellows” Scheme, bright minds from the best Institutions in the country, namely, IISc, IIT, NIT, IISER and IIIT will be offered direct admission in Ph.D. Programme in IIT and IISc. This scheme will help address the brain-drain from our country. It will go a long way in promoting indigenous research in cutting-edge Science and Technology domains. PM Modi emphasized the India faces major socio-economic challenges which affect large sections of our population. We need science and technology to help us make India clean, green and prosperous. Let me re-literate some of my expectations from scientists. A large proportion of our children are affected by malnutrition. To address this problem, the Government of India has launched the National Nutrition Mission. Your suggestions and solutions and help us meet the objectives of the Mission. He said that we have to be future ready in implementing technologies vital for the growth and prosperity of the nation. Technology will allow far greater penetration of services such as education, healthcare, and banking to our citizens. India should become a major player in developing technologies, devices, standards and manufacturing for 5-G broadband telecommunication networks by 2020. Together with Artificial Intelligence, Big Data Analytics, Machine Learning and cyber-physical systems, effective communication will be a major ingredient in our success in smart manufacturing, smart cities, and Industry. Let us aim for India to be among the top 10 countries in the Global Innovation Index by 2030. During the inaugural event Dr. Najma Heptullah, Governor of Manipur; Shri N. Biren Singh, Chief Minister of Manipur; Dr. Harsh Vardhan, Union Minister for Science & Technology and Earth Sciences; Prof Achyuta Samamta, General President of the Indian Science Congress; and Prof Adya Prasad Pandey, Vice Chancellor of Manipur University are also present.